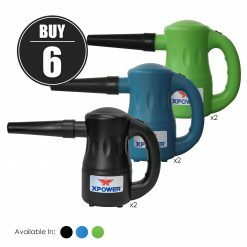 More Than Just A Replacement To Your Canned Air Dusters, This Is The Number 1 Selling Portable Electric Duster With 9 Nozzles! Flowers blooming and the snow is mostly gone! It’s spring time! 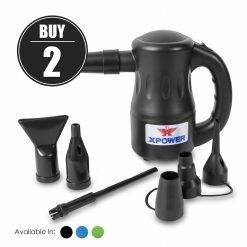 Enter the season with a cool clean breeze in your home by utilizing XPOWER machines to make the job easier and more effective. Homeowners and property managers alike need to go over their buildings and clean off what mother nature dished out. Dirt filled snow got tracked through the house, moisture got in through condensation and pollen from those flowers will be in the air. We have the tools you need to create the welcoming environment for you and your guests. If you have a lot of dusting to do. Our A-2 Airrow Pro Multipurpose Electric Air Duster is perfect for quickly blasting away dust and debris. No more disposable dust wands or canned air dusters. Clean window blinds, keyboards, electronics, underneath appliances and so much more. Great for auto-detailing as well, dry those crevices on your car or motorcycle with ease. 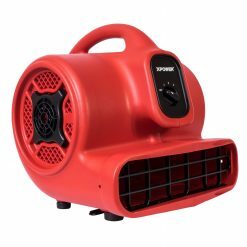 The A-2 is perfect as a canned air alternative and for being compact enough to fit in hard to reach places, utilize the Airrow Pro all over your property. Floors usually take the brunt of dirt in a house, besides direct contact, gravity will pull all the debris in the air downwards. Whether it’s hardwood, tile, vinyl or carpeted flooring, our Mini Mighty Centrifugal Air Movers work great in drying them as fast as possible. This ensures the cleanest floor possible by eliminating moisture-driven mold growth and lingering dirt that sticks to wet surfaces. Have you ever mopped a floor, only to have people walk over it while it’s still wet? Instantly dirty all over again. Eliminate this possibility, while also lowering any slipping risk. Carpet is even more important to dry quickly. After shampooing, carpets can stay wet for days. This attracts dirt to stick to the carpet fibers and is a breeding ground for mold spores. The XPOWER P-230AT easily achieves dry floors with its mega volume air flow of 800 CFM. After drying your flooring, the XPOWER P-260NT doesn’t stop there! This scented air mover uses two patented technologies to clean the air. First, the P-260NT has an awesome ionizer that distributes millions of negative ions into the air. This adds ions to positively charged particles and neutralizes them. 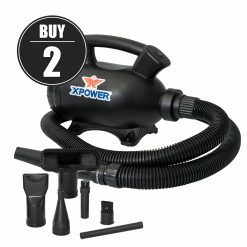 After you neutralize the air, insert XPOWER’s exclusive scented bead cartridge into the wind tunnel of the air mover. The scent will immediately infuse itself into the environment and since it no longer has to compete with malodors, the air is replaced instead of just being masked. 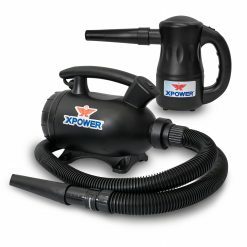 After cleaning your property, you can maintain extremely clean air by using one of XPOWER HEPA Air Scrubbers. The major advantage of this top rated commercial air scrubber purifier line is that it uses 3 to 4-stage air filtration system that includes a HEPA filter, active carbon filter, washable filters and other filters. These air purifying machines will cut down on overall dust particles in the air drastically, so cleaning up the house will be easier and less often. The carbon filter will take out noxious odors from the air and the HEPA filter will remove microscopic dust and pollen, ensuring the cleanest breathing environment possible. Used in conjunction with the XPOWER P260NT Scented Air Mover, you can achieve a noticeably luxurious interior this spring and all year long. We are the master distributor of XPOWER Manufacture. Our price can’t be beat! Shop with confidence with 30-day satisfaction guarantee policy.